Something I've found is that a lot of artists are introverts and some border on loners. Most artists I have met are also very generous. An example of that generosity is my friend, T, from T's Crafty Ways. 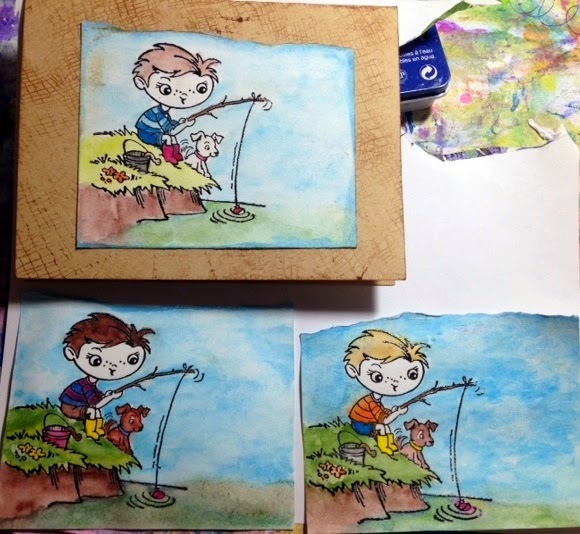 I commented on Facebook that I needed the stamp of this little boy fishing so I could make cards for my bother and dad. The next day, the stamp was on my door step. Granted... T and I live in the same town but since we both tend to stay home and work on our art, that was a pretty fast turn around for a passing wish. Thank you, T and Mike, the milkman and art supply courier. These little guys are stamped on samples of mixed media and watercolor paper. I used Versa Mark ink and black ultrafine embossing power. I rediscovered my Lyra Watercolor Crayons in a drawer recently and I've become addicted to them. I use a fine tip water brush with them and it is a breeze to finish a card in just a few minutes. I would like to hug who ever invented the water brush. It makes watercoloring a small piece so easy. I don't know who made the stamp. I'm hoping T will comment and let us know. THAT is the kindest thing I have heard of in a long time! T is a really great friend. What a great story. 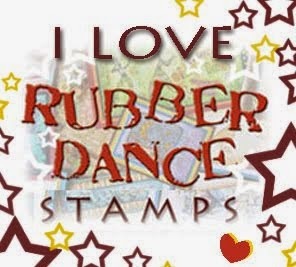 Its really nice that you could share the stamp, especially since you had your eyes on it for those pieces. What a sweet story. I bet your brother and father are going to love the cards. :) I agree with your theory about artists. 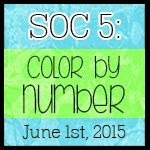 I was an extrovert until I became a full-time artist. Now, I'm alone, working in my studio all the time, and all my friends are online. Wow what a wonderful friend!! That is so sweet and generous. Adorable character too! Very nice, Boo! Love the little guy fishing stamp. Good job T! And really sweet cards. I can see why you so wanted to use this one! Boo is an even better friend. How wonderful our on-line friends are whether irl, or simply on-line, they're always 'there' for us.